Find below the list of top schools in Chakrata Road - Dehradun with phone number, address, 360° School tours, 2018-19 Admission forms & Fees, photos, facilities & more. 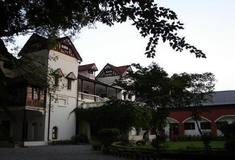 The Doon School (informally Doon School or Doon) is a boys-only private boarding school in Dehradun, Uttarakhand, India founded in 1935 by Satish Ranjan Das, a Calcutta lawyer. The founders foresaw a school modelled on the British public school, but alive to Indian ambitions and desires. The school's first headmaster, Englishman Arthur E. Foot, had spent some nine years as science master at Eton College, England, and returned to England soon after India's independence. 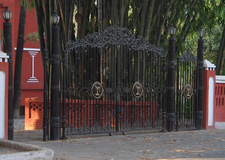 Hopetown Girls' School is located in Chakrata Road, Dehradun. It was established in 1999. This school follows the ICSE board. The school has English medium. 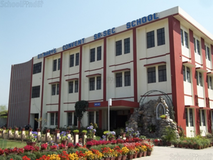 Children's Academy Senior Secondary School is located in Chakrata Road, Dehradun. It was established in 1971. This school follows the CBSE board. The school has English medium. 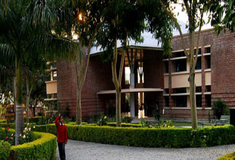 Jaunsar Public School is located in Chakrata Road, Dehradun. It was established in 1994. This school follows the CBSE board. The school has English medium. Choosing the right school for a child is a daunting task. Making the job easier for you is Sqoolz. In order for your child to get admission to the best schools in Chakrata Road - Dehradun you need to study and analyze the list of top schools in Chakrata Road - Dehradun. With our detailed list of schools in Chakrata Road - Dehradun, you can get all the information you need.